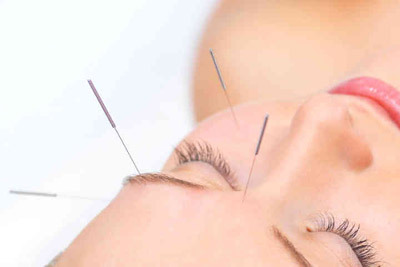 Acupuncture Helps Restore Your Youthful Appearance! Cosmetic acupuncture – also known as an acupuncture facelift or acupuncture facial rejuvenation – is becoming popular, and for good reason. This new technique can enhance not only your physical appearance but also your overall health, giving you a glow that radiates from deep inside. While acupuncture for cosmetic use is a somewhat new phenomenon, there are nevertheless centuries-old records of it being used to enhance beauty. What’s more, acupuncture’s ability to improve a variety of skin conditions has now been documented in legitimate clinical studies. According to a study conducted by the International Journal of Clinical Acupuncture, out of 300 people treated with facial acupuncture, 90% had marked beneficial results with only one course of cosmetic treatment. With over a quarter century of experience Dr. XiPing Zhou can help you recapture your youthful glow. Complete our online consultation form today. Dr. Zhou will personally contact you and develop a comprehensive plan to treat your condition. Reduce your wrinkles naturally, and tighten up your face with Facial Rejuvenation Acupuncture. 2000 year old wisdom on staying young & looking young naturally. Facial Rejuvenation Acupuncture helps to improve muscle tone and dermal contraction especially in the face and neck. Facial Rejuvenation Acupuncture has been shown to increase collagen production and aids in its dispersal thus helping to firm the skin and fill out wrinkles. Bags and sagging around the eyes, face, and neck can be significantly reduced and toned up. Metabolism is greatly improved through these treatments, resulting in reduced puffiness often to the point of elimination. As Acupuncture can profoundly effect the regulation of hormones in the body, conditions like acne and overly dry skin can be quite improved. By substantially increasing the circulation of blood, lymph, and qi to the head, these treatments improve the complexion noticeably. Healthy facial coloring can be restored and there can be a tightening of the pores. Stress and habitual expressions which are so visible on the face are transformed resulting in a remarkably younger, calmer, and less worn looking face with which to meet the world. Inner beauty, vitality and serenity: all these very obviously visual benefits manifest in the appearance while many pre-existing health conditions are cleared up because Acupuncture works by treating the whole body and addressing the underlying causes of aging and disease. How often should you receive treatments? Your treatments will total 20 visits over the course of 3 months. 3 times per week for 2 weeks then 2 times per week for 4 weeks and lastly once a week for 6 weeks. Please complete our free online consultation form here on our website or call Dr. Zhou today. Start your journey to a younger looking appearance!